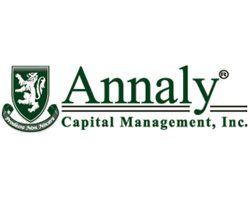 The fund’s largest holding at the end of December was its nearly 24 million shares of Annaly Capital Management, Inc. (NYSE:NLY). Annaly- like most of the high yielders we’ll be discussing here- is a real estate investment trust. Such companies are required to distribute a large share of taxable income to shareholders in order to preserve their favorable tax treatment, and this often results in high yields. In the case of Annaly Capital Management, Inc. (NYSE:NLY) this yield is over 10%. However, the company invests in a variety of mortgage-backed securities and so it (and similar REITs) are not considered safe investments; we think that investors should avoid becoming too exposed to REITs particularly those which invest in MBS. Taylor and his team sold a small portion of their shares in CYS Investments Inc (NYSE:CYS) though they still owned 8.2 million shares at the end of the fourth quarter of 2012. CYS currently pays a dividend yield just above 10%, though of course it too is a somewhat risky investment. In fact, quarterly dividend payments seem to be on a downward trend; in addition, the company only went public in mid 2009. Brookside Capital, a hedge fund which is part of the larger Bain Capital alternative investment firm, initiated a position of over 4 million shares during Q4 (find Brookside’s favorite stocks).